NORA is sleek pebble-shaped device that sits on the bedside table and listens for snoring sounds. Once it detects the sound, Nora stops the snoring by slightly moving your head through a padded pillow insert that sits under your pillow. To get one, you’ll have to pledge $179 to the company’s Kickstarter, and expect to receive your product in May 2016. 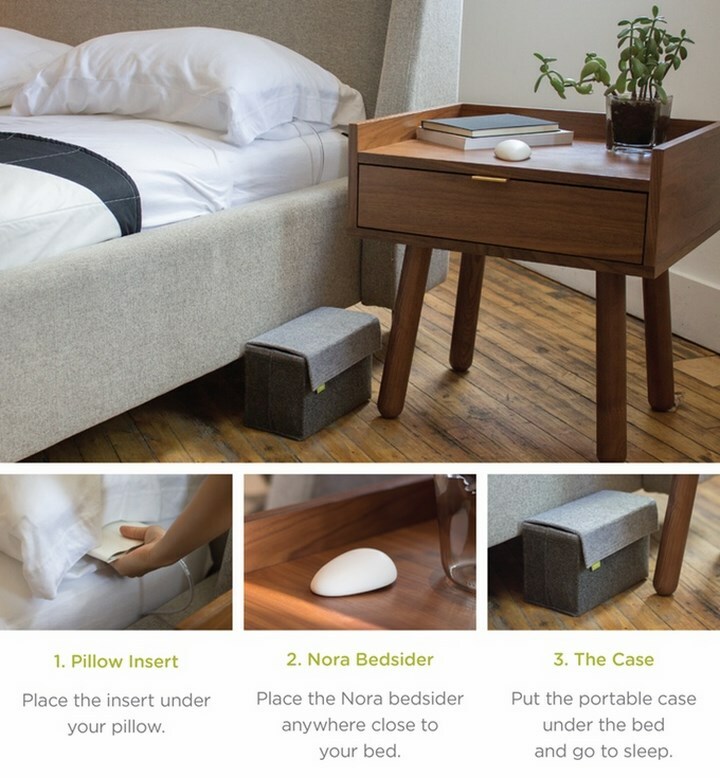 Nora, a Kickstarter project, a better snoring solution system consists of a smooth "pebble-shaped" wireless mic that sits on your bedside table, a mini pump that's located beneath the bed, and a hose-connected flat rectangular padded bladder that's inserted between your pillow and pillow case. When the mic detects the sound of snoring, it activates the pump. It, in turn, quietly inflates the bladder. This causes your head to subtly change position, which stimulates and thus tightens your upper throat muscles – it is these muscles that typically cause snoring when they relax, collapse and constrict your airways. As a result of those muscles firming back up, you reportedly stop snoring, without awakening.